Yes, we know what you’re thinking. 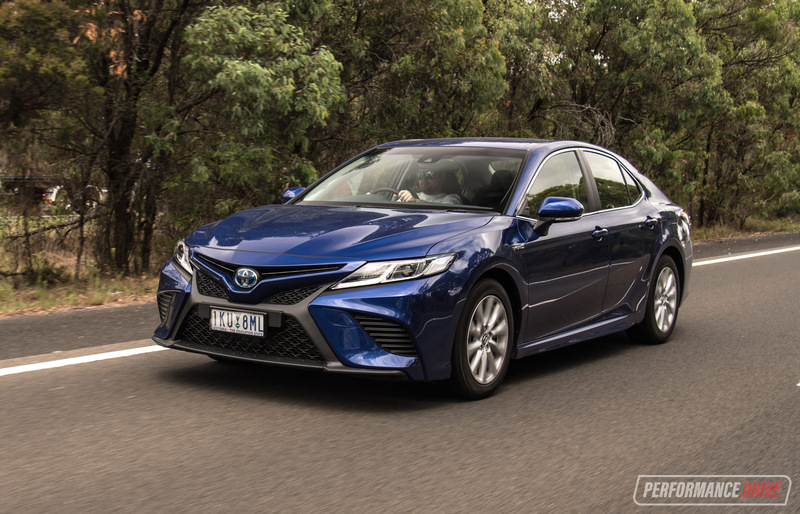 Boring Camry. 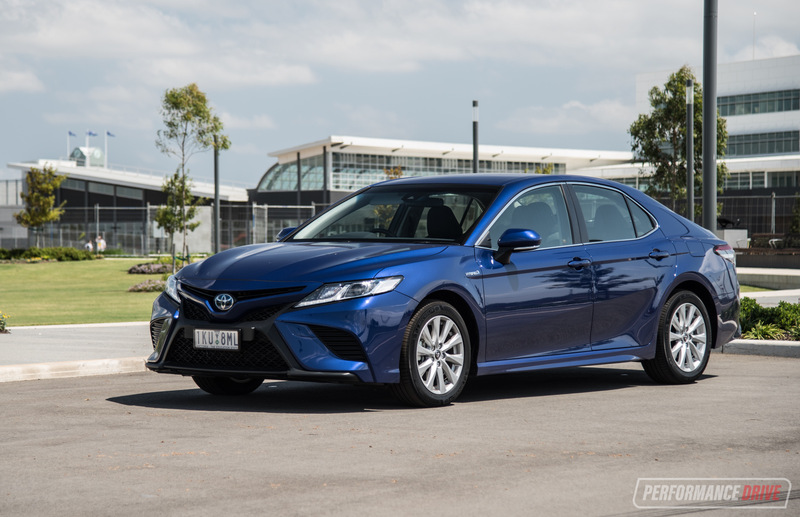 However, if you want a very economical, spacious, affordable, and well-built large sedan, the Camry is simply the most popular model on offer. With thousands of buyers every year, surely they’re all onto something? 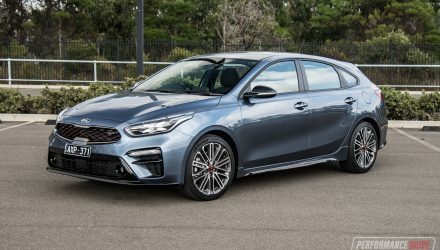 The latest model has just undergone a major refresh. 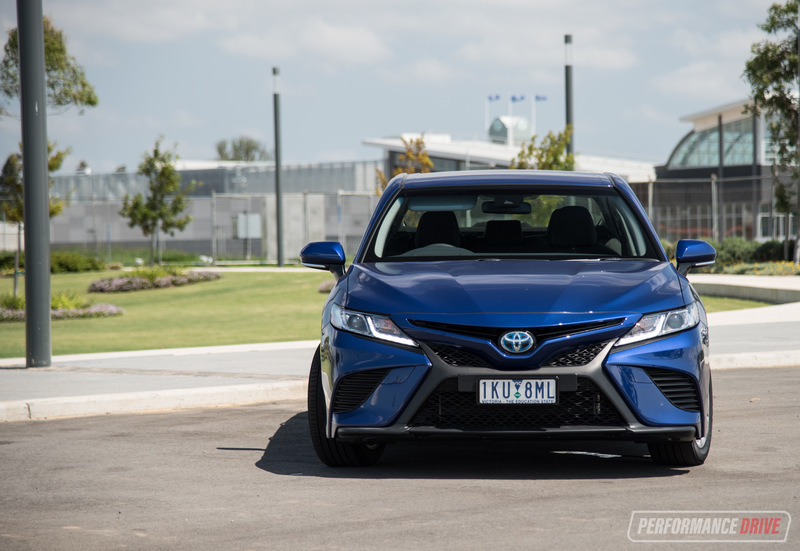 It’s based on a dynamic new platform called Toyota New Global Architecture (TNGA), which is being rolled out for all mainstay products under the Toyota-Lexus empire. 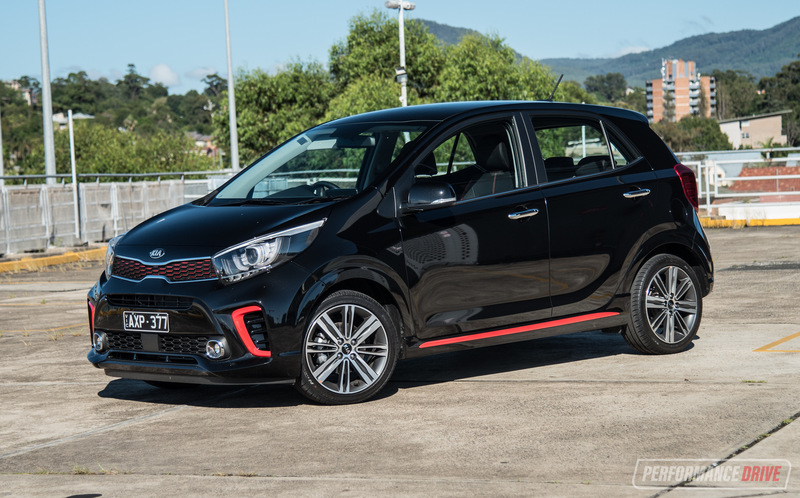 It promises sportiness and improved driving dynamics, and increased safety and refinement. There’s also more power from the engines, and a much more modern design inside and out. 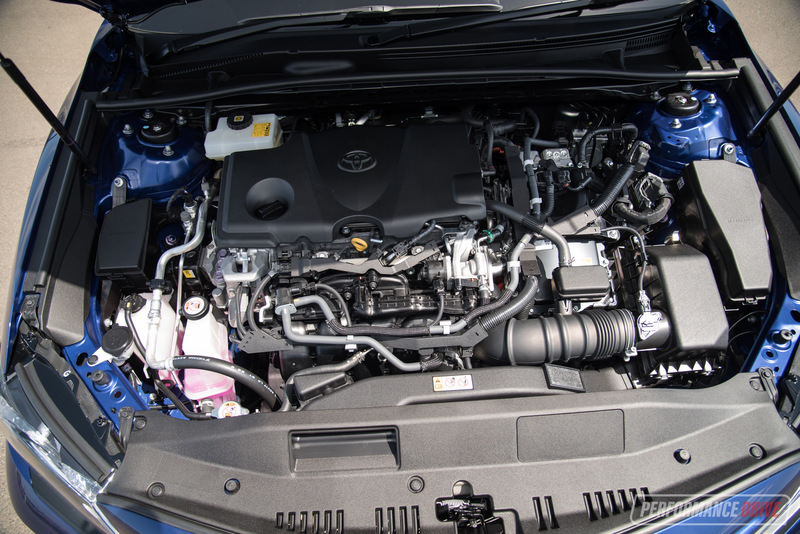 In hybrid form, as we have here, the new model has an official fuel consumption rating of just 4.2L/100km. That’s a seriously low number, especially for a big sedan. 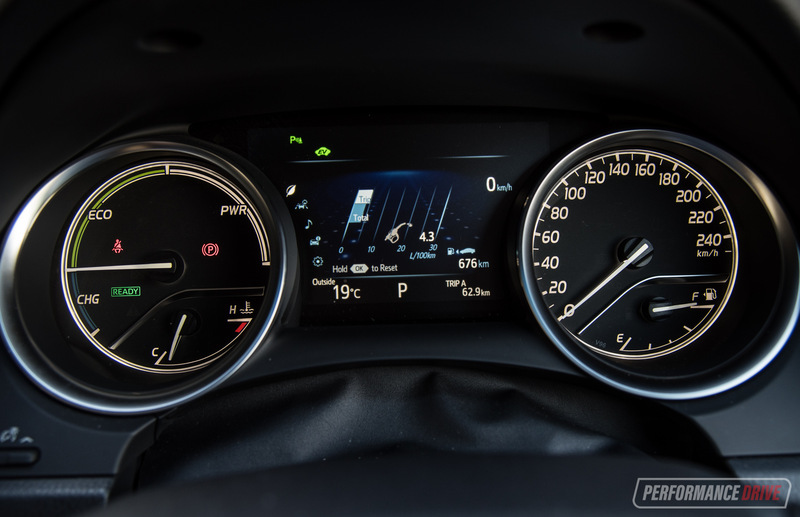 In fact, it is literally the lowest official average fuel economy of any car in this medium sedan segment. 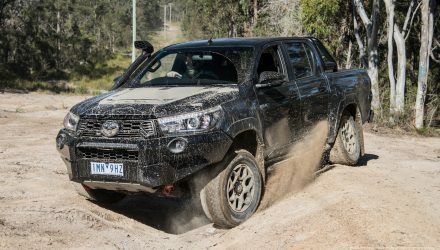 Toyota Australia offers three engine options for the new model, including a 2.5-litre petrol producing 133kW, a 2.5L hybrid producing a combined 160kW (up from 151kW), and, for the first time in just over a decade, a powerful V6 (224kW). 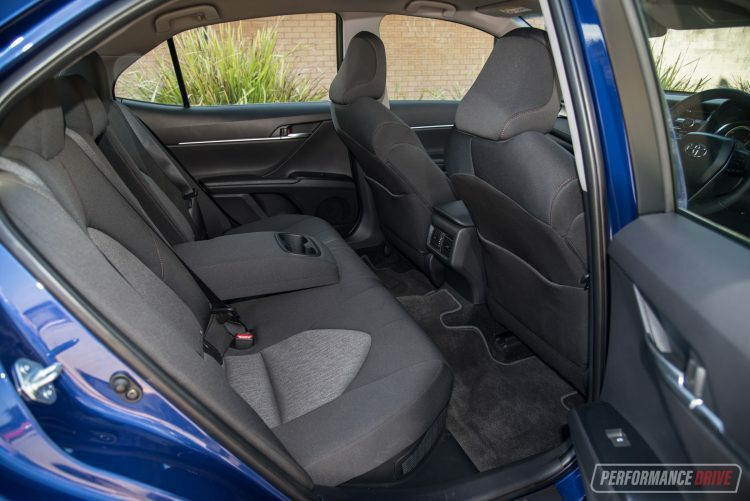 This latter option is here to help soak up some of the demand for the now-deceased Aurion. 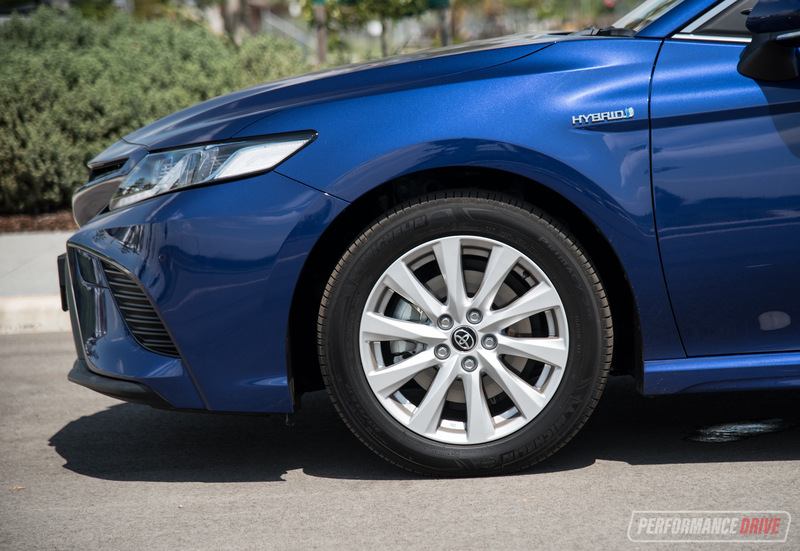 The Ascent Sport hybrid as tested kicks off from $31,990. 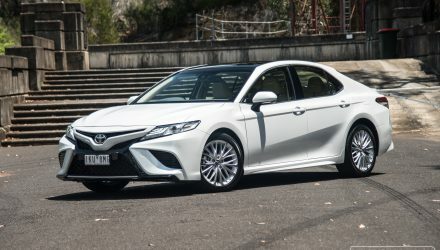 Toyota really deserves a pat on the back for the design of the new Camry. We think it looks great. 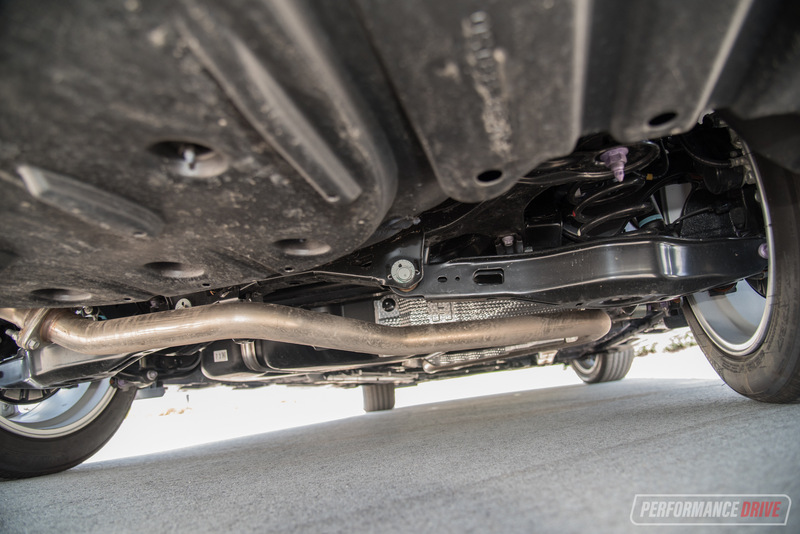 A zesty front end and properly sporty rear give it a firmer posture in the segment, even if the twin-outlet exhausts on this hybrid are a little overzealous. And this isn’t even the sportiest variant. 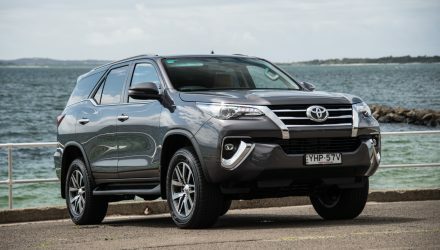 Toyota Australia offers the hybrid in Ascent trim, Ascent Sport (as tested), and SL. 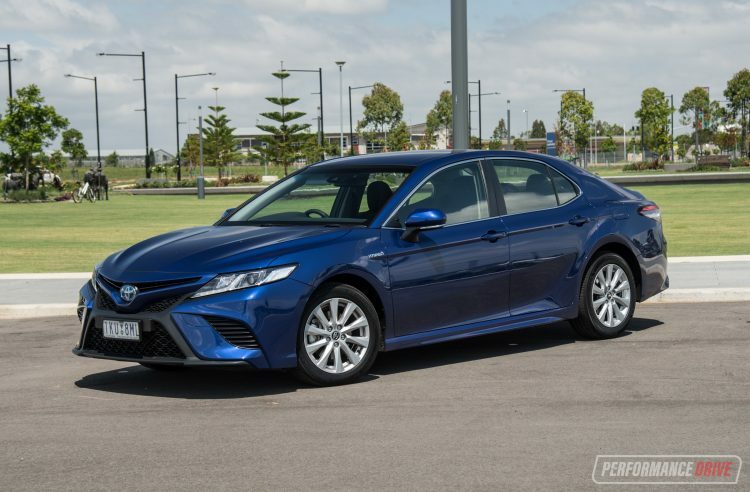 The SX (not available with the hybrid) looks better again with larger two-tone alloy wheels and black roof. Inside, it’s easy to see why hire car owners and taxi companies uses these cars. The cabin is vast, very practical and now, the new model is actually really nice on the eye. This is good news as sometimes vehicles hit the market with a grand exterior design but are let down by a poor interior execution. Or vice-versa. Take a look at the dash, with its melted centre fascia that elegantly droops down, with exposed stitching (albeit fake) and soft-touch materials. There aren’t many boring square generic buttons either, and most of the controls feel surprisingly luxurious. 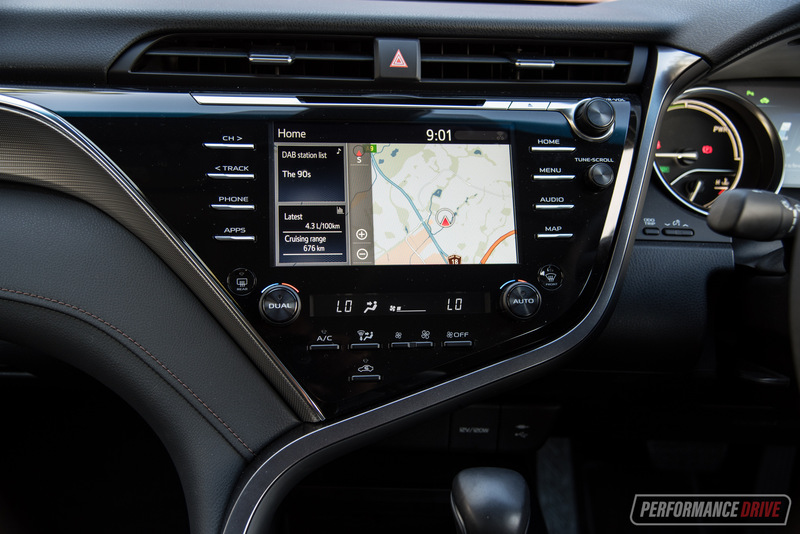 Within the cascading dash fascia is a new 8.0-inch touch-screen media interface. 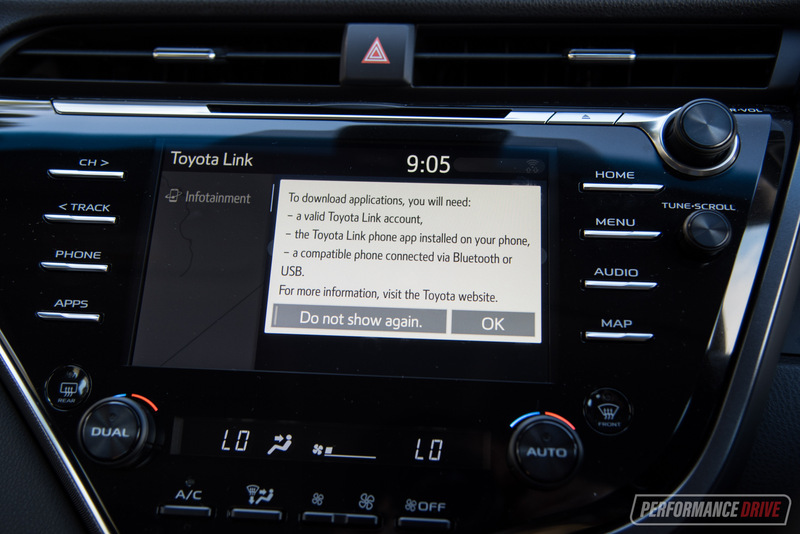 In typical Toyota fashion, the interface is an evolution of its predecessor and not a revolutionary step into a new dimension. In some areas, the screen is a bit behind some of the rivals. 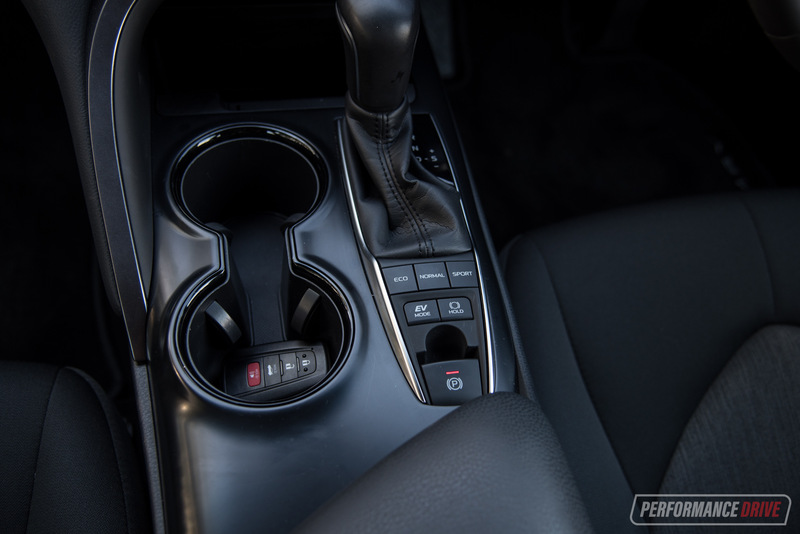 There’s no hand controller down on the console like in the Mazda6 rival, for example, and the graphics aren’t all that flash. But, in other areas, it is very simple to use, with jump-to menu buttons around the screen making life easier while on the go. 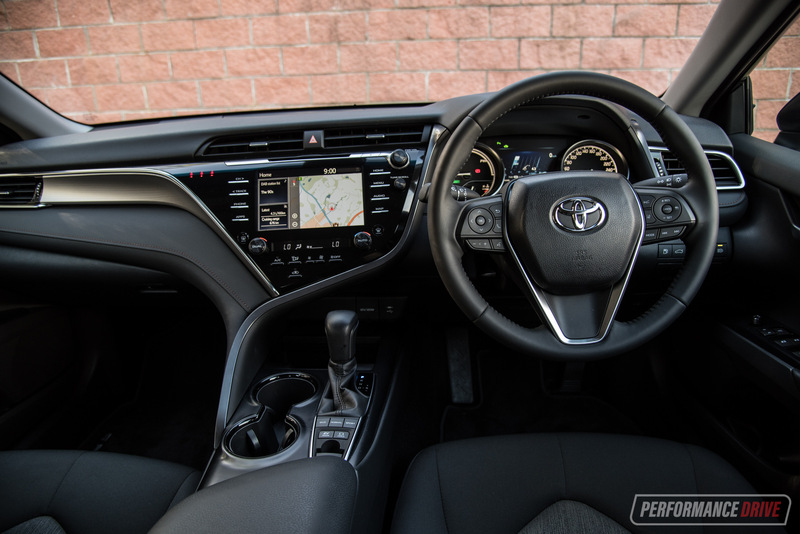 There’s also a suave, hydraulic-feel volume knob for quick volume control, and fairly neat steering wheel buttons to improve safety. 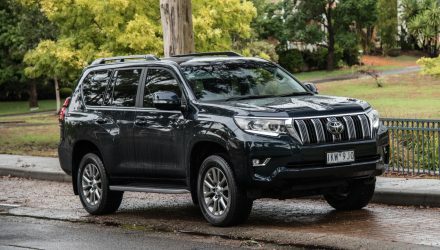 Standard features are aplenty in the Ascent Sport, with sat-nav, a 7.0-inch digital instrument cluster display with a number of different gauges and themes to select between, power lumbar support and adjustment for the driver’s seat, and adaptive cruise control. The Ascent Sport also gets crisp new LED headlights, a sporty bodykit (shared with SL and SX), and dual-zone climate control. Cabin space and comfort is not going to be a problem for a majority of the population. 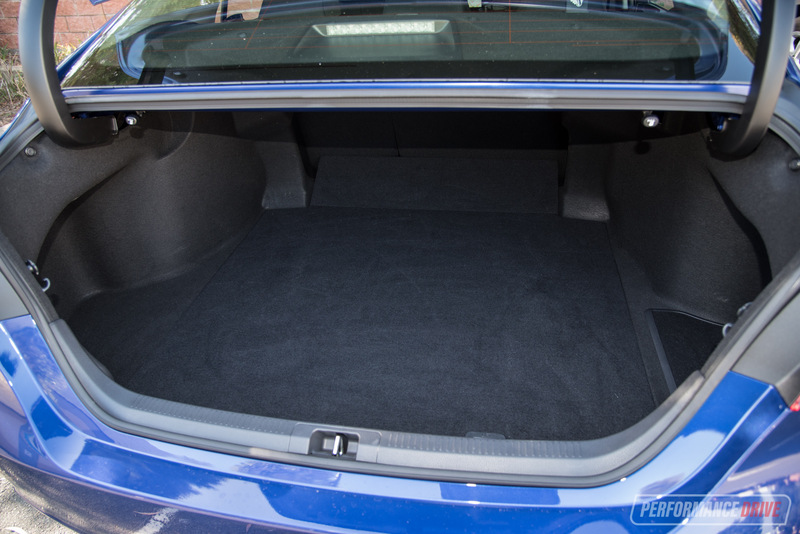 In the front there are various storage options around to place your phone and drinks, with a big centre console box to conceal valuables, while the rear sear is simply massive. An almost flat floor means middle-seat passengers aren’t rubbing legs with the outer passengers, and climate vents keep everyone cool/warm. Around bends it tends to brace and tense more than lean, with little body roll resulting. The electric power steering system isn’t the most engaging out there, but it’s a good ratio with decent response and sharpness. 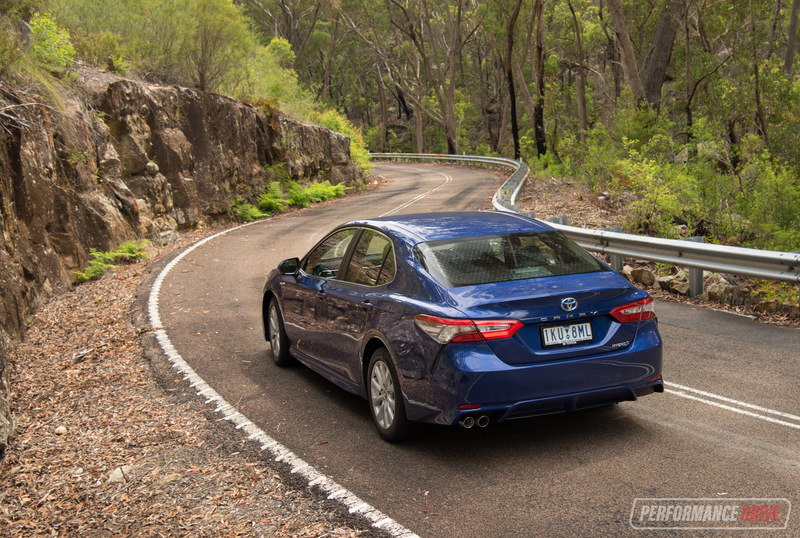 Overall handling isn’t quite as stimulating as the Mazda6, for example, but it makes up for that by being a sensational (and superior) highway cruiser. Along the highway the hybrid powertrain makes a mere hum, with excellent wind noise suppression from that striking body. 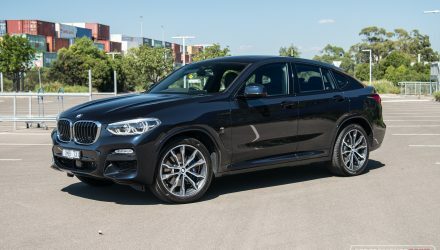 Ride comfort is also superb, absorbing bumps and road connections with no major shudder or crashing sound sent through the cabin. 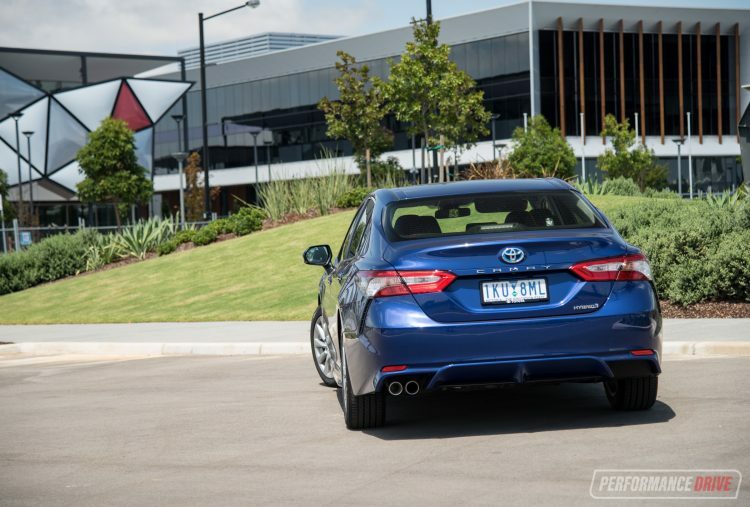 We think this is perhaps the most impressive part of the new Camry; its refinement. It is so smooth to drive, often making you feel more relaxed when you arrive compared with when you got in. 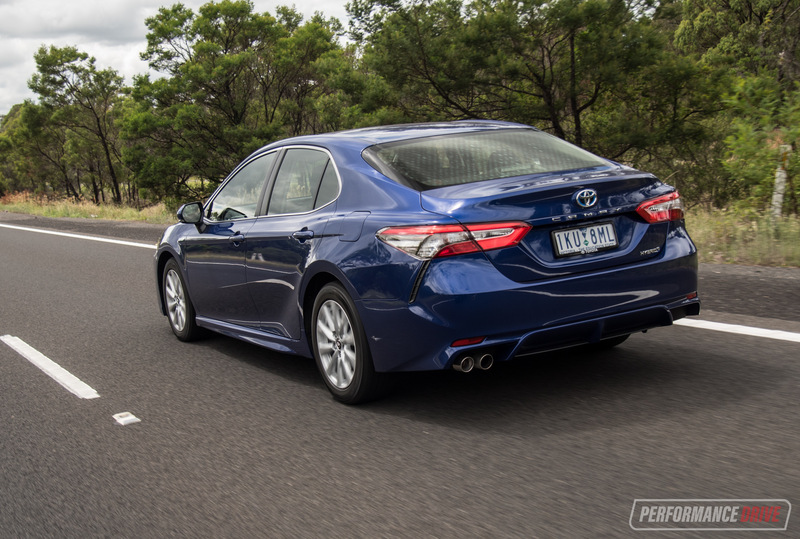 Going for the hybrid obviously means you’re interested in fuel economy. This is another area that should be marked down as a big plus. 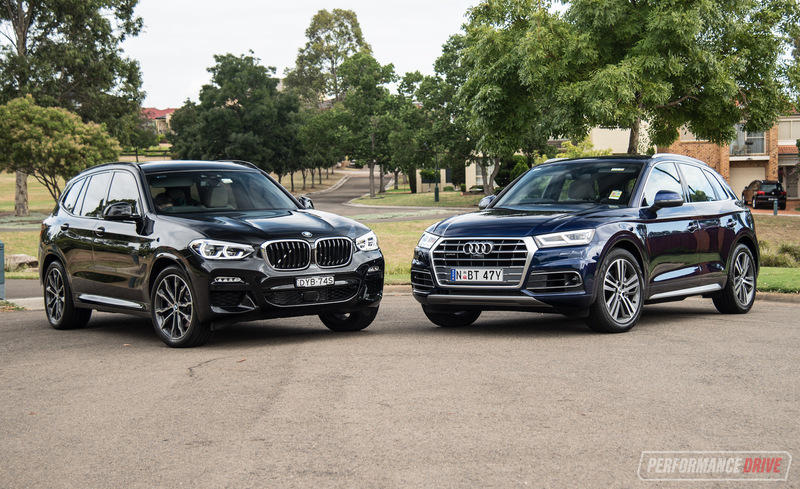 The official average is just 4.2L/100km (down from 5.2L/100km in the previous model), which is outstanding. However, this figure is almost achievable in the real world. 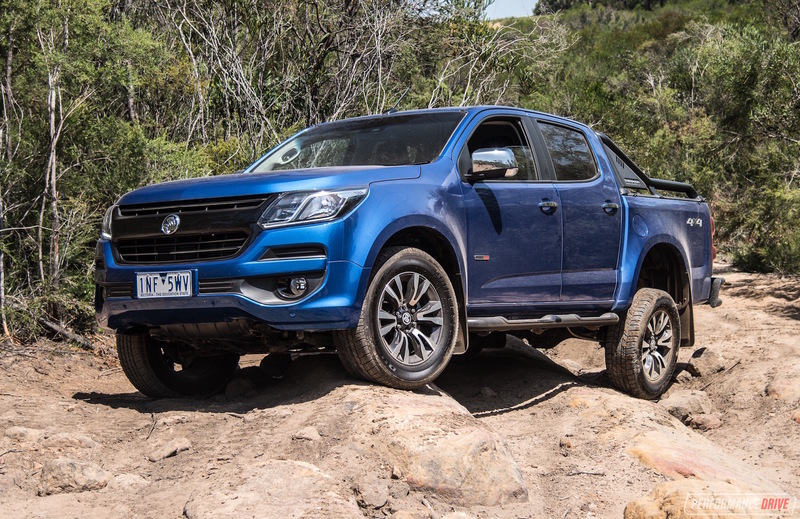 We saw it drop down as low as 4.3L/100km during our test, and we were not trying to drive economically. 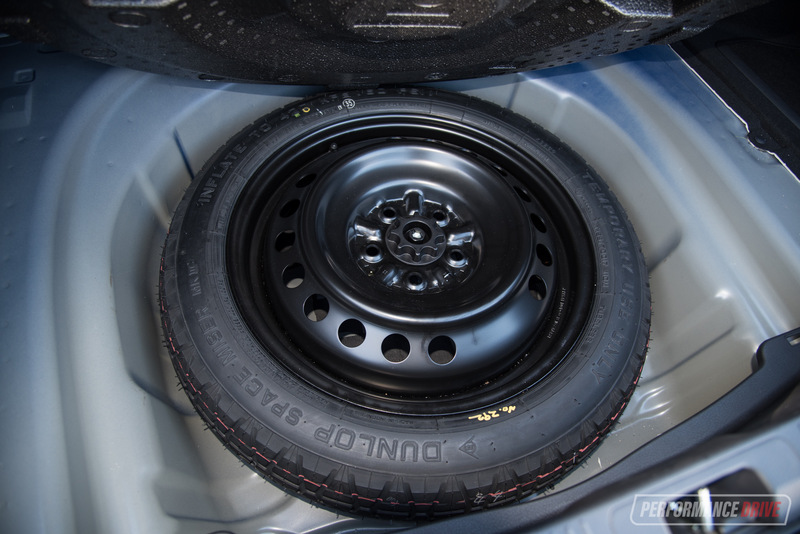 You could expect to see no more than around 5.0L/100km after extended use, in almost any conditions. Interestingly, it’s actually more efficient when driving around the city and suburbs as it can drive on electric power alone for short periods, helping to reduce the overall consumption. 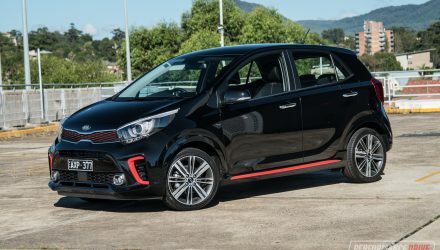 The official consumption rate in urban conditions is just 4.7L/100km. This is amazing considering it is not a super-low, super-light concept car. It’s a normal large sedan capable of carrying five people in comfort. 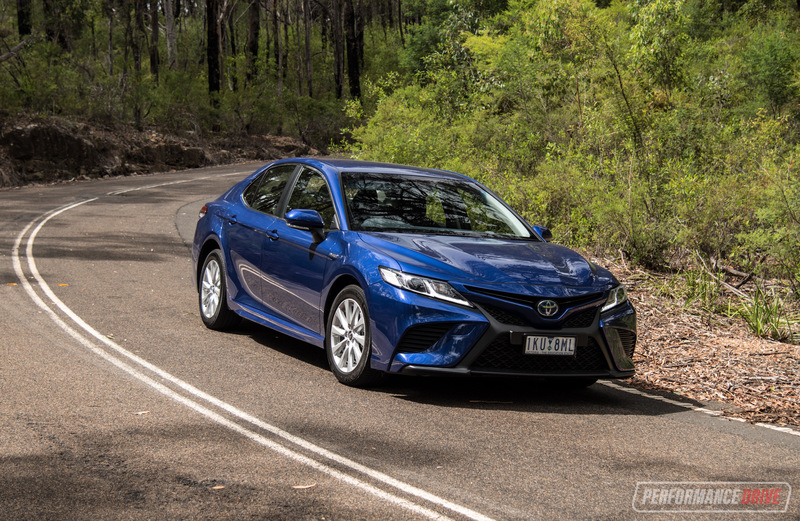 Speaking of weight, this new Camry tips the scales at 1605kg (tare). 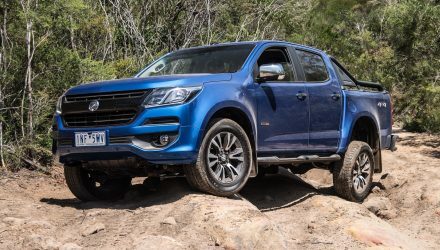 Compared with the equivalent predecessor, which doesn’t come with this level of weighty equipment and technology, the new model is only 35kg heavier. 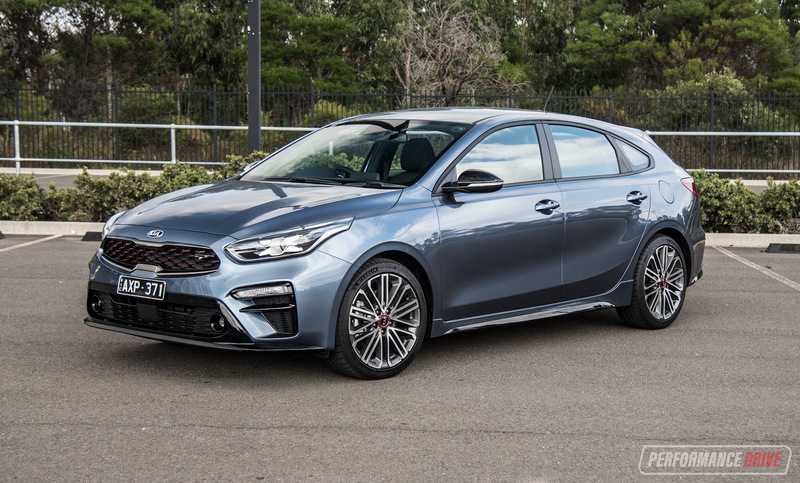 Across the 0-100km/h sprint we clocked the new model in 8.33 seconds, which is only slightly slower than the 151kW predecessor (8.19 seconds). There are three driving modes to choose from, including a sport mode. In sport the acceleration feels a bit livelier when using partial throttle, but it doesn’t make any difference during flat-out acceleration, like in most vehicles with a sport mode. This is just there to make the vehicle feel more energetic and fun, holding the artificial CVT gears a bit longer as well. 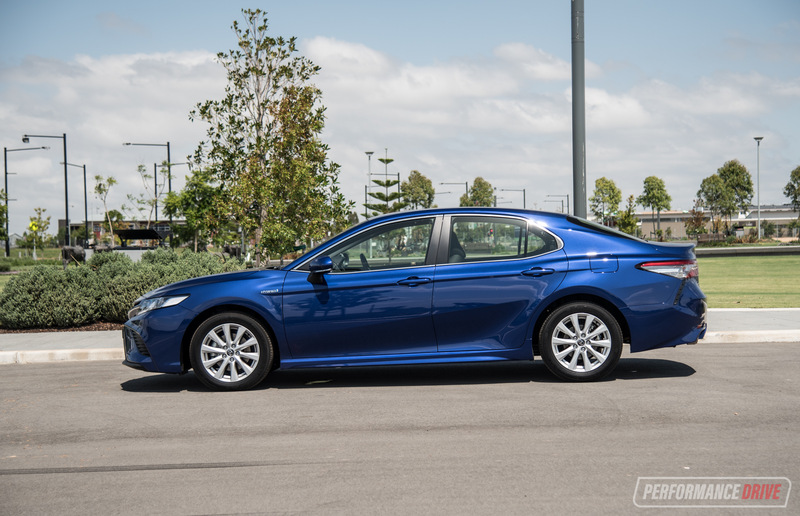 Priced from $31,990, the new Camry Ascent Sport hybrid represents excellent value for money (down $1200 from the equivalent predecessor). 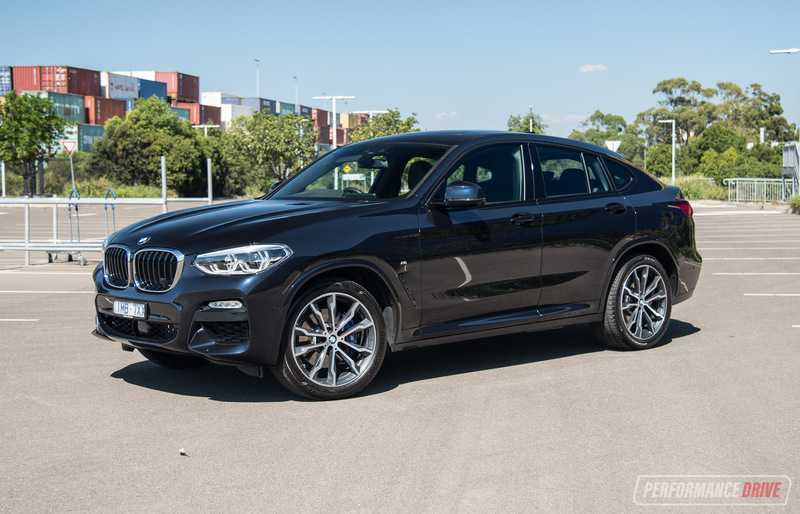 The fact that it is the most fuel efficient, and now one of the largest sedans on the market for under $40,000, means it must be on your shortlist if these are important factors in your car buying criteria. For us though, we’re really interested in the new TNGA platform. 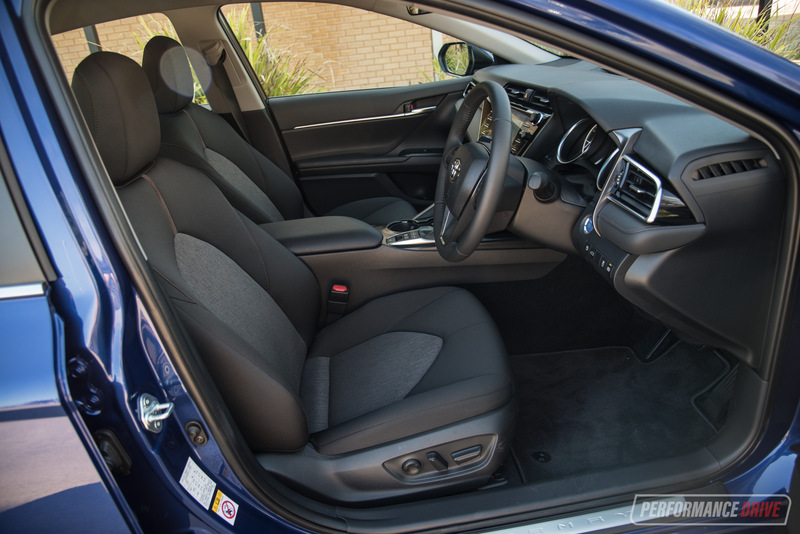 It feels fun, steers well, and offers superb comfort and quietness. We also like the new exterior design and the much improved interior. 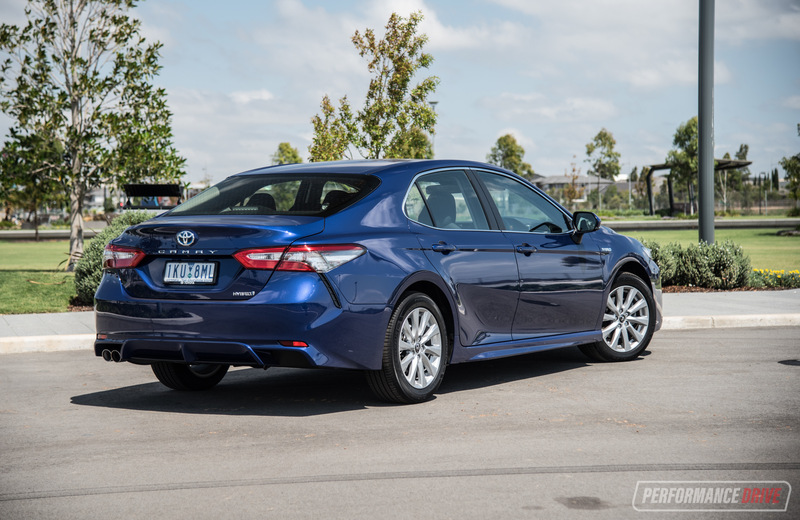 If you’ve always looked past the Camry badge because you thought it stood for conservative and boring, you need to get into a Toyota dealership and check one out. This new model will change your mind.